We acknowledge the efforts of Dr.Subhadra, Mr. Kalyan Kumar and Unnati Team who have helped in capturing and putting together all the details of the News letter. Dreams are not just nightly thoughts we experience as the brain sorts out the day’s events and actions, they are the goals and visions that fuel our heart and saturate the soul with joy and happiness. Dreams are often the visions of what we want our life to be at its highest level of fulfilment—What we want to do/become in life and how to achieve the same. Being a big dreamer does not mean that we wander with our head/eyes in the cloud, it means that we are looking at life as a journey with a purpose which we seek to fulfil with a planned and meticulous approach. People who dream big will accomplish those goals because they have the right mind set. Dreams are the first stepping stones for success in store or achievements that are waiting to come our way. “So many of our dreams at first seem impossible, then they seem improbable, and then when we summon the will, they soon become inevitable”- Christtopher Reev. The ability to dream is the first step to think big, aspire big and finally achieve big. Dreaming big triggers the fire in our bellies to conquer bigger and better things, scale new heights in our professional and personal lives. Following our big dreams connects us with our inner self, only big dreams can fulfil us right down to the soul because they help us to seek out our true purpose in life. The biggest reason for us to dream big is our inherent desire of not wanting to settle down for anything small and insignificant. The reason for our existence is often embedded in our dreams and desires, like the DNA, genetic information which is the very blueprint for who we are. Our dreams are the thoughts, ideas and that vision which cannot be ignored for long, as they keep coming back to our minds because it is part of who we are and what our purpose in life is. Following our dreams brings in a great sense of satisfaction, accomplishment and enjoyment. The real success of dream begins in chasing them and fulfilling them in a planned and methodical manner. To sum it up- Big or small, dreaming keeps our senses alive, following them keeps our souls alive. 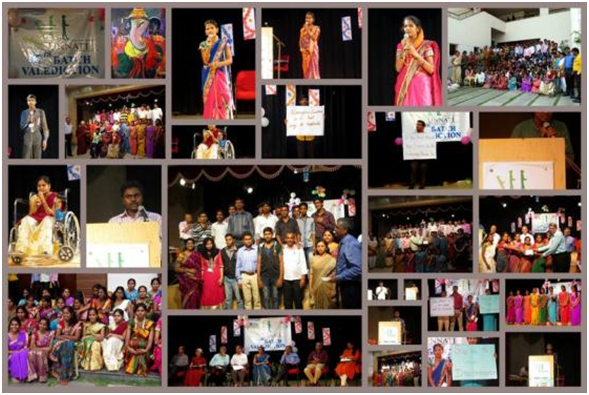 Team Unnati started its journey with this big dream of ” Empowered Youth” and we are happy to share our continued success in following this dream over the past few years, we are proud of our students who stand tall as a testimony to our dreams, thank all of you for your support in our endeavour. Do we dream when we sleep or do we sleep to dream? Is a big question that is always debated among researchers? Do we really need to sleep to dream is a bigger question in our opinion. A quote by our ex-president Dr. APJ Abdul Kalam reinforces our opinion for he said ” Dream is not what we see when we are sleeping, it is something that does not let you sleep”. It is this legend’s dream that has catapulted India to the annals of glory in space research making every Indian proud of the accomplishments, successes and laurels. “Once we dream of something , we look for ways to follow them, conquer them to make the most often cited phrase “Follow your dreams” which definitely easier said than done, into a reality. The sheer will to see our dream turning into a reality clears all the hindrances and obstacles that we may encounter in our path to success. History has the evidence of scores of people who have achieved big things only because of their ability to dream big. It is not uncommon to see one person’s dream/vision that has achieved stupendous success and transformed places, events or lives for better or simply to be the best. About half a century ago, this tiny tropical island at one degree north of equator without any natural resources to call its own was very insignificant on the world map and in people’s eyes. Often dubbed as the “Monaco of the East”, the red dot has beaten a path to steady economic progress and prosperity since the 1970s. Since then, it has pulled off a dramatic transformation – boasting very efficient infrastructure, the central business district is crowded with skyscrapers that rival neighbouring Hong Kong and mid-town Manhattan in far-flung New York and an airport that has frequently topped the “world’s best” list. Singapore, the most modern city state and island country stands tall in world’s elonomy and as one of the most preferred place for professional success. Much of the city’s success can be attributed to the vision of one man – Lee Kuan Yew, Singapore’s first prime minister who passed away recently. Lee is recognised as the founding father of independent Singapore, with the country being described as transitioning from the “third world” to the “first world” a single generation” under his leadership. His tenure in office from 1959 to 1990 has resulted in all round development of Singapore. Lee held himself against the criticism on his rule for curtailing civil liberties, argued that such authoritarian measures were necessary for political stability, which together with rule of law, were essential for economic progress. Irrespective of opinion on him as a visionary, authoritarian or a role model for west- it is his dream and determination to transform the Singapore to a world class economy is a testimony of dreaming and following them. 1. Jain Foundation : Jain foundation are our donors. About 40 members of their trust and management team visited Unnati on 7th January, interacted with students to understand our program better. 2. Training of Trainers (TOT): Unnati conducted a TOT for 17 participants which included the newly recruited faculty and volunteers on 5th January, 2015. This is a program Unnati does frequently to train the newly recruited faculty/centre Manager and volunteers to understand Unnati’s program better. 3. 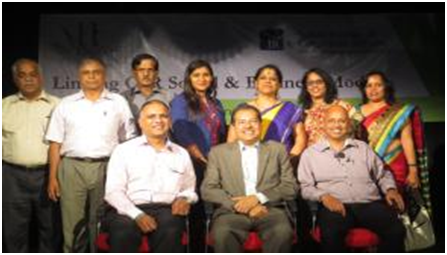 Financial Literacy: Financial Literacy was held on 12th January 2015. This is a SEBI patronized program to educate youth about minimum financial literacy they require to lead their life better. This program is conducted for every batch by Mr.Vinod Tantri. 4. Blood Donation: Camp by Rotary Club on 15th Jan 2015 Students & staff of Unnati donated blood in a do bynation camp conducted by Rotar club. 5. 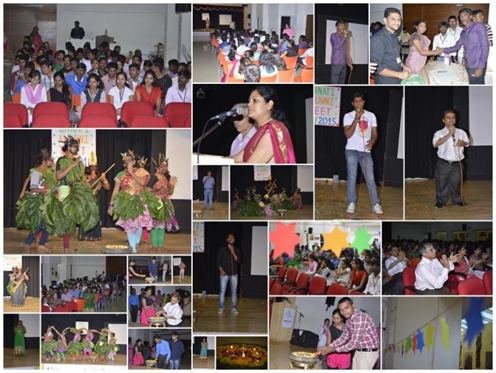 Alumni Meet: Alumni Meet was held on 18th January 2015 which was attended by 103 students. Many of them shared their workplace experience and inspired the students of the ongoing batch. 6. Whirlpool: Whirlpool has recently associated themselves with Unnati for their CSR Initiative. They conducted assessment test for the students belonging to Retail Sales & Marketing and found our students well equipped in the skill. We look forward to their continued support. 7. 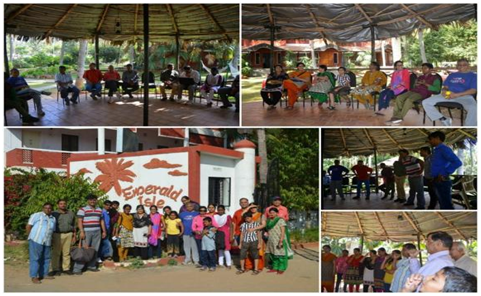 Staff Excursion on 26th January 2015 to Emerald Isles, Bangalore: Staff, Volunteers & Trustees numbering about 23 participated in the excursion. This is an annual program when all unnatians join us for a one day excursion where informal discussions take place and day of rejoice and relaxation. 8. Taiwan Team visit on 28th January 2015: A team from Taiwan consisting of educationists, students and members of foundation visited Unnati centre, Bangalore. They were excited to see what we were doing for the upliftment of the under privileged youth by equipping them with job skill training. 9. Valediction of 46th Batch: Mr. Ashwath – Mahindra Comviva , Mr. Ansari – Boeing, Ms.Niharika – Derrick Petroleum, Mr. Ramesh – GE Technology Centre, Mr. Jayaraman – Trustee, Ms. Sukanya Kuppuswamy –Volunteer graced the function as Guests of Honor. They lighted the lamp and had a word of encouragement and appreciation for the students. 10. 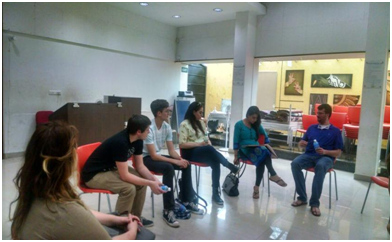 Alliance University Foreign Students: About 7 foreign students (from Georgia, USA) visited Unnati and interacted with the students on 18th Feb 2015. This is ‘Student Exchange Program’ of Alliance University. IICA and Unnati conducted a one day CSR programme on 20th February, 2015. It was a true delight to hear Dr Bhaskar Chatterjee, DG & CEO of IICA speak. While his knowledge on the subject is unparalleled, it was his forthcoming nature and patience when dealing with queries that bowled us over. We thank him for his time. It was also a great pleasure to interact with Ms Swagata Sen Pillai and Ms Geetanjali Gaur, who explained the CSR rules and regulations in considerable detail. We thank IICA for their time and effort, and look forward to more such collaborations in the future. Incidentally we would like to mention that Unnati is a training partner with IICA and we are presenting imparting training to the students who are undergoing 9 months “ICP in CSR” course with Unnati trainers. Unnati is happy to announce that 15 employees from J P Morgan visited us as part of their CSR Programme. They conducted two wonderful sessions on Email Etiquette and Basic Excel for our students, who enjoyed the classes immensely. We are sure the classes will prove to be very beneficial for the students in the near future. Unnati thank them for their time and effort and invite them to conduct more such amazing sessions. Mahindra Comviva team participated in an interaction with the students. They handled Ice breaking sessions, do’s, dont’s during interviews and mock interviews to the students. The team displayed a few inspiring videos which students could easily relate to our own Life skills topics such as “Perseverance”, “Hard work”, “Confidence”, “Positive Attitude”, “How to cope with failure” our students shared their real time experiences as well. English and Life skills TOT for newly recruited Faculty, Managers of Centres. The students of the 47th Batch participated in a lively debate. The batch was divided into four groups, and students were asked to debate on social topics like “Are women as a gender inferior to men?”, “Is women’s attire the reason for sexual assault?” “Should women marry after the age of 24?” “Is it good in the long run to stay in the first job for longer than 6 months?” The students were engaging and articulated their opinions. This is one program which is conducted for every batch to create awareness of social issues. Prizes are distrusted to best speakers. The Valediction of the 47th Batch was held on the 26th of March, 2015. Our Guests of Honour included Mr Sai Manikum (Donor), Dr Peruvemba Vishwanath -Boeing, Ms Seema- Cognizant, Mr Anil Kumar – Axis Bank Foundation, Mr Kishore Govinde – San Engineering, Mrs Kasturi Shyamsundar – Sree Subramanya Swamy Temple Trust, Mr. Raju – Trustee and Ms. Girija Krishnan –Volunteer. 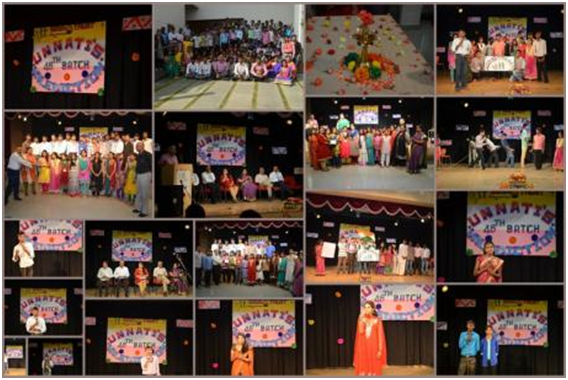 They lighted the lamp , sat through the program and appreciated the skits by the students. Completion certificates were distributed to all the outgoing students. Unnati was able to place all the outgoing students in reputed companies thus maintaining its own benchmark of 100% placements. First Source Solution Pvt Ltd, Westside, St. Mark’s Hotel, Brigade Group, MIDP Hospitality, AXA Group, Health & Glow, Aura Spa were some of the companies where students got placed. 48th Batch Selection – 28th March 2015: About 67 students came and got selected for the fresh batch. 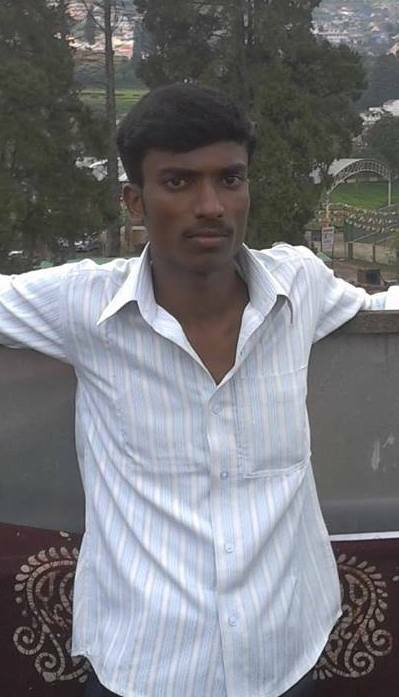 Mr. Ma dhusoodan (B.E, M.Tech) has been volunteering at Unnati since September 2013. He is a trained faculty in spoken English and Life skills. A former scientist in DRDO, Ministry of Defence, Mr.Madhusoodan took to volunteering at Unnati like fish to water. In addition to faculty work, Mr.Madhusoodan is ever ready to get involved in any other work requiring his contribution. Unnati feels proud to have such committed volunteers like Madhusoodan who always inspire and motivate others. Ms.Hema Krishnan a B.Sc. graduate, has been with Unnati since May 2013 as a Faculty. She handlesspoken English and Life Skills to the students at Unnati. She is also a professional counsellor. Totally committed and passionate about her role at Unnati, Ms.Hema brings that freshness and variety in the class when she takes sessions on spoken English/Life skills. 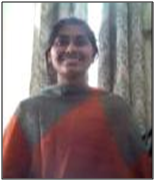 Next Post A family moves up the social chain: A journey of confidence made possible by Unnati!